Many of us are fortunate enough to fit the standard dress sizes available on the High Street, but when it comes to women who aren’t conventionally shaped, it’s a real treat to have items that fit. Take me for example, my top half is a small while my bottom half is a medium so even though I can get away with most outfits, when I order a bikini, a small sized top fits perfect but the bottom is too tight and tiny, and when I order a medium, the bottom fits perfect but the top falls off! Lunss is a savior in this case as they make the dress according to your measurements so seams contour your body and you get the perfect fit in the design you want. 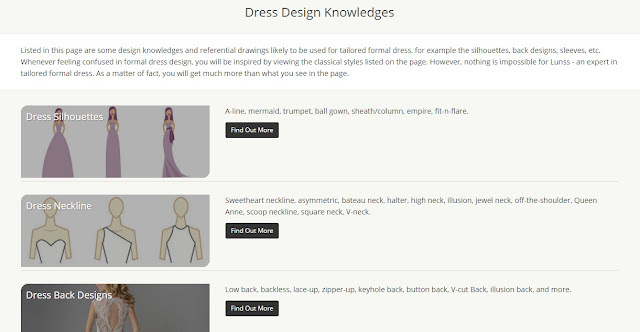 Their site has a handy guide which gives you information and examples of silhouettes, necklines, back designs and lace patterns. They only use top-quality fabrics like Taiwan soft mesh, French lace, US organza that are the foundation of a high quality dress which is made by hand. Their communication system of online customization allows you to design your own dress to your heart's content, and keep communicating to make it better until your dream dress comes true. Moreover, their private designers offer design consultation and hand-paint a finalized design sketch for you. All their products are hand tailored and delivered to any part of the world within 6 weeks. You provide them with ideas of your dream dress - from photo inspirations, your wedding theme, Pinterest pins, other designer's works. You might receive a brief questionnaire to help guide them in this process and narrow down your preferences. At your personal consultation, you'll meet a designer online to discuss the details along with sketches based on your ideas by a private designer for preview. You can browse assorted fabrics and embellishments tailored to your dress preferences within your budget, and have your measurements taken. After confirming all details and receiving the payment, their dressmakers will start making your dream dress. When the dress finished and they send you the photos of the dress for confirmation. They also have an Exclusive Bespoke Service where you will receive a mock of your gown to view its overall shape and fit and if everything's fine, they start the production process. Whether you want a show-stopping wedding gown or a gorgeous evening dress, Lunss can create it and customize it according to your needs. 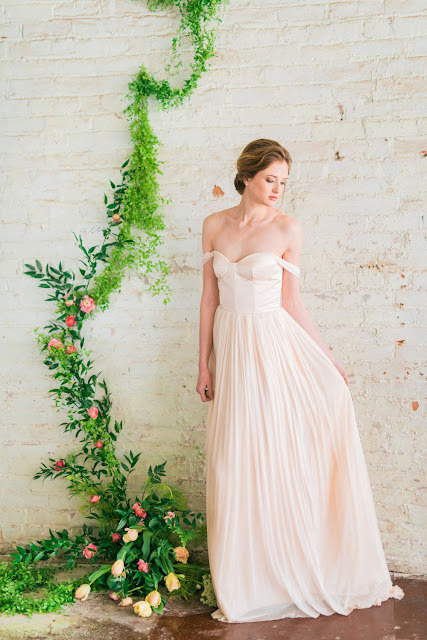 So check out their site now if you're looking for a one of a kind, bespoke gown for yourself! They definitely set themselves apart by offering custom designs. These look amazing! the first dress is amazing.. The first dress is beautiful. Stunning selection of dresses June! Such a beautiful concept!